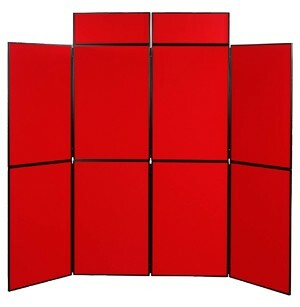 Our foldable panel displays are great for presentations and trade show events. They are easy to set up—just unfold and place on a tabletop or the ground for the larger displays. The displays fold up into an included carry bag for great portability. All the panels include custom full color printed graphic panels for a highly professional look. All the graphic panels are printed from your own digital artwork, or you can purchase the display without the graphic prints to easily add and customize your own posters to the display. Other sizes also available.